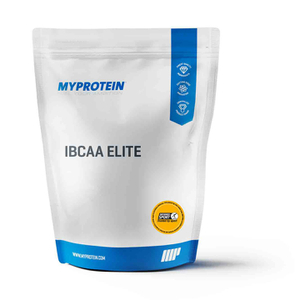 Essential iBCAA 4:1:1 is an instantised form of the super-popular branched-chain amino acids or BCAAs, that delivers a powerful 4:1:1 ratio of leucine, isoleucine, and valine — with improved solubility and easy mixing. Leucine, isoleucine, and valine are essential amino acids, which aren’t product by your body, so must come from your diet. BCAAs naturally occur in protein, which helps to build and repair new muscle,1 helping you get back to the gym session after session. Our powerful 4:1:1 formula boasts 4x/four times more leucine than regular BCAA supplements —super-important for all fitness goals. When to take Essential iBCAA 4:1:1? To reap the benefits of our Essential iBCAA 4:1:1 powder, add 2 scoops (5g) to 250-350ml of water or juice, before, during, or after exercise. What does Essential iBCAA 4:1:1 work well with? For allergens, see ingredients listed in bold. May also contain Milk and Egg. Grape: Branched Chain Amino Acid Powder Blend 4:1:1 (Leucine:Isoleucine:Valine) (87%) (contains Soy), Natural Flavouring, Sweeteners (Sucralose, Acesulfame K), Colour (Allura Red AC, Brilliant Blue FCF). Warning: Contains Allura Red AC which may have an adverse effect on activity and attention in children. Lemon Lime: Branched Chain Amino Acid Powder Blend 4:1:1 (Leucine:Isoleucine:Valine) (90%) (contains Soy), Natural Flavouring, Sweeteners (Sucralose, Acesulfame K), Colour (Tartrazine, Brilliant Blue FCF). Warning : Contains Tartrazine which may have an adverse effect on activity and attention in children. Watermelon: Branched Chain Amino Acid Powder Blend 4:1:1 (Leucine:Isoleucine:Valine) (90%) (contains Soy), Natural Flavouring, Sweeteners (Sucralose, Acesulfame K), Colour (Allura Red AC). Warning : Contains Allura Red AC which may have an adverse effect on activity and attention in children. Orange: Branched Chain Amino Acid Powder Blend 4:1:1 (Leucine:Isoleucine:Valine) (89%) (contains Soy), Natural Flavouring, Sweeteners (Sucralose, Acesulfame K), Colour (Sunset Yellow FCF). Warning : Contains Sunset Yellow FCF which may have an adverse effect on activity and attention in children. Raspberry Lemon: Branched Chain Amino Acid Powder Blend 4:1:1 (Leucine:Isoleucine:Valine) (88%) (contains Soy), Natural Flavouring, Sweeteners (Sucralose, Acesulfame K), Colours (Allura Red AC, Brilliant Blue FCF). Warning : Contains Allura Red AC which may have an adverse effect on activity and attention in children. Why all the artificial colours??? Great product, my only complaint is the amount of artificial colours used in this, I used the lemon and lime what tastes great. But I couldn't wash the green stain out of my fingers for days, if this small amount has stained my fingers this bad what's it doing to my insides?? keep the taste and remove the colours it's really not needed Myprotein. The taste of watermelon isn't unpleasant as such but it is so sweet it made me feel sick and I couldn't drink it and certainly not while training. I tried to add more water to dilute the taste but it was still too sickly. A more subtle flavour would be welcome. 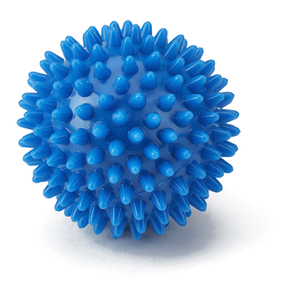 I don't think I've ever needed to complain about a product here, but the Blue Raspberry flavour iBCAA is horrible. The amount of colouring in it can't be good for you either. I can't stand the stuff so can't comment on if it works. Also, my Berry Blast flavour has gone from the 4:1:1 BCAA, which is disappointing. Bought lemon and lime flavoured bcaa and the colour IS VERY SCARY. stopped using the product and wasted a whole 1 kg of it for fear of the health implications of the colourings.